Kallidus is one of the leading Bespoke Content design houses in the UK and produces high-end bespoke digital learning for some of the world's biggest brands such as DHL, McDonald's and Barclays. 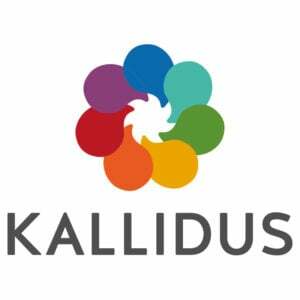 Kallidus excels in creating impactful, results-driven eLearning through true partnerships with our clients to produce digital learning that creates the learning outcomes you desire for your organisation. Every project matters to us. However big or small the process is the same to ensure that our customers are happy, deadlines are met and expectations are fulfilled. The latest technologies and techniques are adopted to ensure that our customers are kept in the loop every step of the way and that every interaction is friction free. Some of our most highly awarded work has delivered behavioural change at an organisational level. We help organisations move beyond simple eLearning by producing immersive and engaging content that can reach areas that other digital learning can't. We use a unique range of high-end video production, virtual environment, animation and gamification to produce eLearning that consistently wins awards for innovation and effectiveness. Please get in touch to understand how we can transform digital learning in your organisation. Discover the Solutions Kallidus Bespoke Content has to offer. Read reviews and discover other eLearning Industry community members's experience with Kallidus Bespoke Content.